Are you guys ready for the very first line-up announcement for this 15th(!) 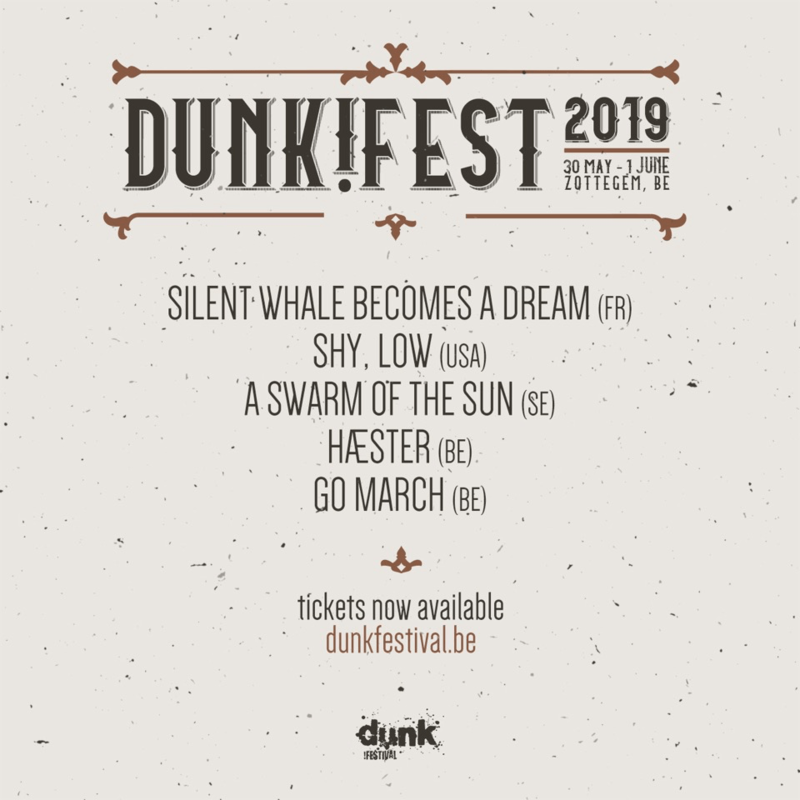 edition of our small cozy festival in the Flemish Ardennes? Let’s assume you are and proceed to the actual announcement. The following five bands each bring their very own sound to the table and we’re excited to offer this kind of mix at our festival. 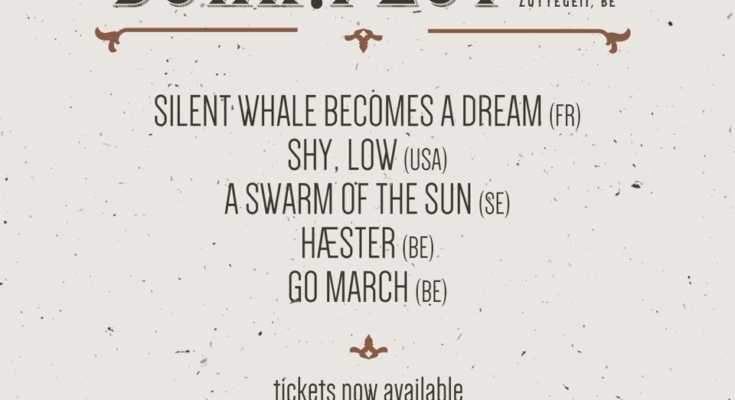 Silent Whale Becomes A Dream (FR) has been on our list for a long time already and this time we were able to have our agendas lined up to bring this ‘ode to slowness’ on our stage. They will “tell you minimalist and deep stories. Stories about the infinite sky over your head, about the harsh ground under your feet. As promising and frightening as the vast ocean right in front of you”. Shy, Low (USA) is not completely new to the festival with members of Au Revoir (playing last edition) but their music is. 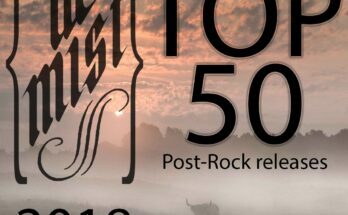 Having seen them perform a few weeks ago in a small bar in Aalst, Belgium we thought we should definitely experience these heavy post-rock tunes on our next edition. Don’t miss out on this one! A Swarm Of The Sun (SE) has our attention from the very beginning when they released their first album Zenith in 2010. 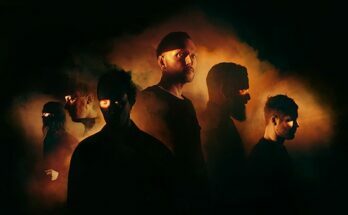 After releasing The Rifts (2015) full of dark and highly dynamic songs with eerie piano parts, mesmerizing vocals and explosive climaxes, they are now about to release their third album The Woods. This will be a set that grabs your attention from beginning to end and will leave you speechless. Hæster (BE) just released their debut album on dunk!records and A Thousand Arms. So you could say they are new to the scene but the members already earned their stripes in bands such as Aborted, Customs, Death Before Disco, Horses On Fire… Listening to All Anchors No Sails you can tell they know how it’s done. This will be one of the heaviest shows of the festival. Go March (BE) is being described as Mogwai meets Kraftwerk. Depending on the balance between those two this could turn out really good right? In any case this trio will bring an exciting blend of electronics, rock and ambient passages. Make sure to check out their latest album II, recorded in what is now called dunk!studios, located on the dunk!fields.